In our house, putting out the garbage bags usually happens once, sometimes twice, a day. We walk outside into our hallway, drop them into a larger shared garbage bin and they *magically* disappear. I have a family of five, with three kids aged 6, 4 and 2, and we have spent the last three years in China basking in the joy of (cheap) goods conveniently delivered to our door, while cringing at the amounts of trash we are producing. The endless consumption of goods, the copious amounts of packaging on EVERYTHING, the cheap delivery dinners for less than you can cook your own: all yours for the low-cost price of our environment. Last month I attended an event with Go Zero Waste Beijing, who shared about just how they live in a way that produces as little trash as possible. Surprise, surprise, now I feel guilty looking at these bags of garbage we are creating in our own home, and so here begins my family’s journey to producing less waste in Beijing. Almost every single item in the fresh produce aisle is wrapped in plastic. Until now, the convenience of shopping in one place for me has far outweighed the environmental costs. I am a realist. I personally don’t believe it is possible to produce Zero Waste here in Beijing with three small children, and I’m not sure I want to go quite that far. How will I have my morning coffee? How will I wash my hair (I have tried the vinegar and baking soda and NO!)? I am busy and Zero Wasting takes A LOT of effort. Beijing is big, the farmers markets are far, and someone tell me why every apple is wrapped in protective packaging?! But I do believe that small changes make a difference and that we have a responsibility to take care of this planet we call home. Over the next few months I invite you to join me on a journey looking at the biggest challenges our family (me) will face in trying to reduce our environmental footprint while living in Beijing. I will be analyzing my family’s waste to find out what where we can reduce the most, learning how to compost food scraps in an apartment (really?! 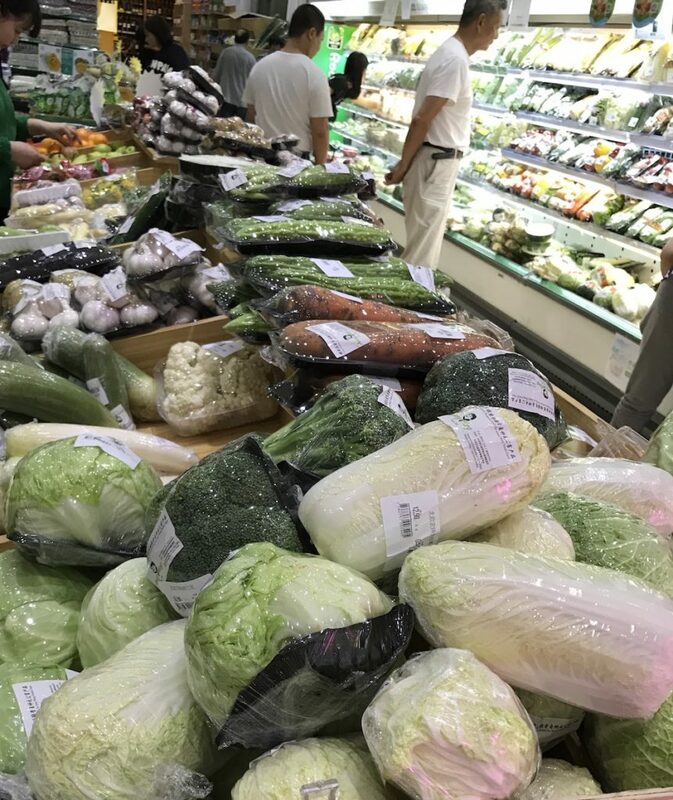 I’m not convinced…), how recycling works in Beijing, how to do the weekly shopping in a more sustainable way (while keeping it real), how to minimize all those deliveries and associated packaging materials and more! Hopefully my slow journey to producing less waste will inspire you to begin your own! Order Less Delivery, Help Save the Planet!